Citizens should decide where power lies in this country. 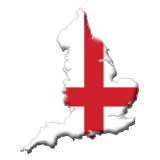 Inside Britain – The real truth on the English Constitution is here. The Development of the English Constitution and how Governments violated it! With acknowledgements to Albert Burgess NOTES: The comments in red type show how various Governments attempted to repeal these laws and give examples of their violation. Sedition is any act designed to subvert the Constitution….